A paper describing the newly confirmed observation, “GW170608: Observation of a 19-solar-mass binary black hole coalescence,” authored by the LIGO Scientific Collaboration and the Virgo Collaboration has been submitted to The Astrophysical Journal Letters. Additional information for the scientific and general public can be found at http://www.ligo.org/detections/GW170608.php. On the afternoon of June 7 (PDT), LIGO Hanford was finally able to stay online reliably and staff were making final preparations to once again “listen” for incoming gravitational waves. As part of these preparations, the team at Hanford was making routine adjustments to reduce the level of noise in the gravitational-wave data caused by angular motion of the main mirrors. To disentangle how much this angular motion affected the data, scientists shook the mirrors very slightly at specific frequencies. A few minutes into this procedure, GW170608 passed through Hanford’s interferometer, reaching Louisiana about 7 milliseconds later. LIGO Livingston quickly reported the possible detection, but since Hanford’s detector was being worked on, its automated detection system was not engaged. While the procedure being performed affected LIGO Hanford’s ability to automatically analyze incoming data, it did not prevent LIGO Hanford from detecting gravitational waves. The procedure only affected a narrow frequency range, so LIGO researchers, having learned of the detection in Louisiana, were still able to look for and find the waves in the data after excluding those frequencies. For this detection, Virgo was still in a commissioning phase; it started taking data on August 1. 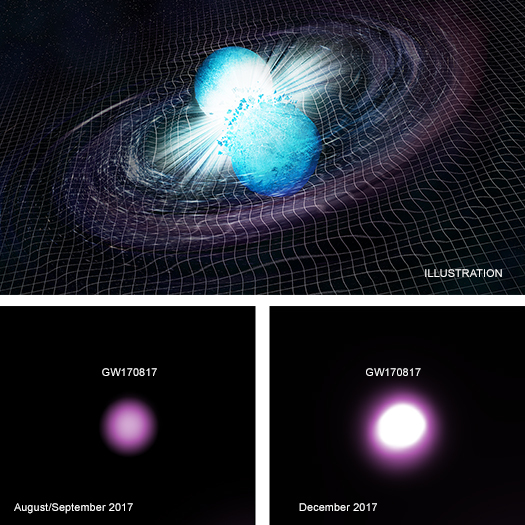 Despite their relatively diminutive size, GW170608’s black holes will greatly contribute to the growing field of “multimessenger astronomy,” where gravitational wave astronomers and electromagnetic astronomers work together to learn more about these exotic and mysterious objects. LIGO and Virgo scientists continue to study data from the completed O2 observing run, searching for other events already “in the can,” and are preparing for the greater sensitivity expected for the fall O3 observing run. The LIGO Scientific Collaboration (LSC) is a group of scientists seeking to make the first direct detection of gravitational waves, use them to explore the fundamental physics of gravity, and develop the emerging field of gravitational wave science as a tool of astronomical discovery. 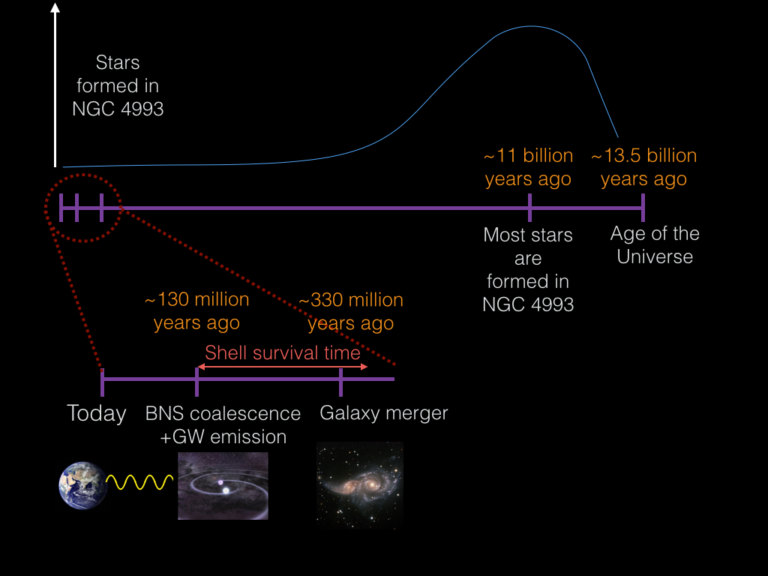 The LSC works toward this goal through research on, and development of techniques for, gravitational wave detection; and the development, commissioning and exploitation of gravitational wave detectors. The LSC carries out the science of the LIGO Observatories, located in Hanford, Washington and Livingston, Louisiana as well as that of the GEO600 detector in Hannover, Germany. Our collaboration is organized around three general areas of research: analysis of LIGO and GEO data searching for gravitational waves from astrophysical sources, detector operations and characterization, and development of future large scale gravitational wave detectors. Founded in 1997, the LSC is currently made up of more than 1000 scientists from dozens of institutions and 15 countries worldwide. A list of the participating universities.